Which is the best car for you? If you need a spacious car – whether it’s for the family or for your hobbies – chances are you’ve considered some form of SUV. There are so many of these high-riding and practical examples that it can seem overwhelming when it comes to picking the best one for you. The Honda CR-V is one of these cars that’s been around since the 1990s – arguably one of the first of its kind. However, it’s now fighting for road space with a huge number of competitors. 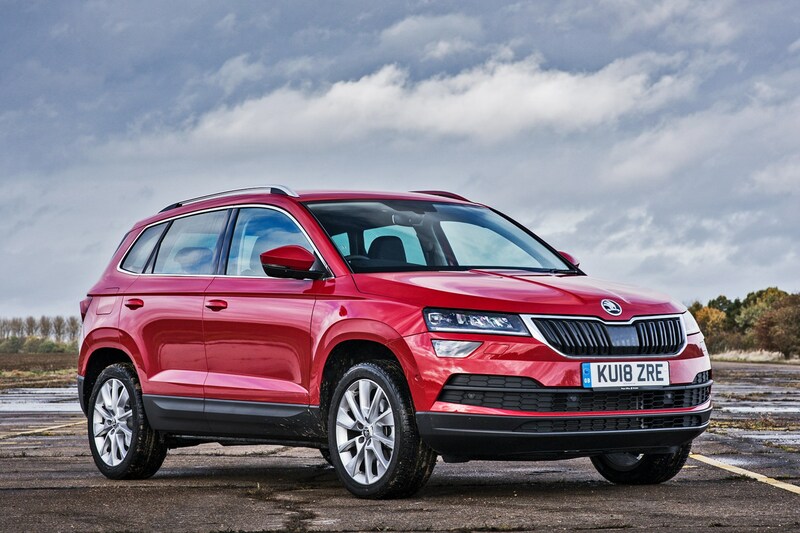 We’ve rounded up three of its closest rivals based on similar boot space and passenger room – the Skoda Karoq, the Peugeot 3008 and the Hyundai Tucson. 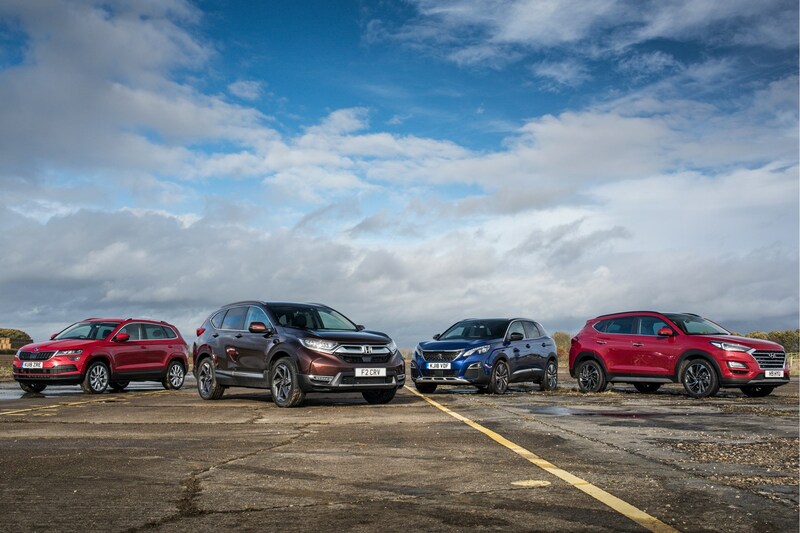 The CR-V is more expensive in cash terms than its rivals here, but it is a little larger overall with a slightly more spacious interior, and it’s the only car here that can be specified as a seven-seater. The trim levels on offer consist of S, SE, SR and EX, powered by a 1.5-litre petrol engine with a choice of manual or CVT automatic transmissions, as well as front- or all-wheel drive. 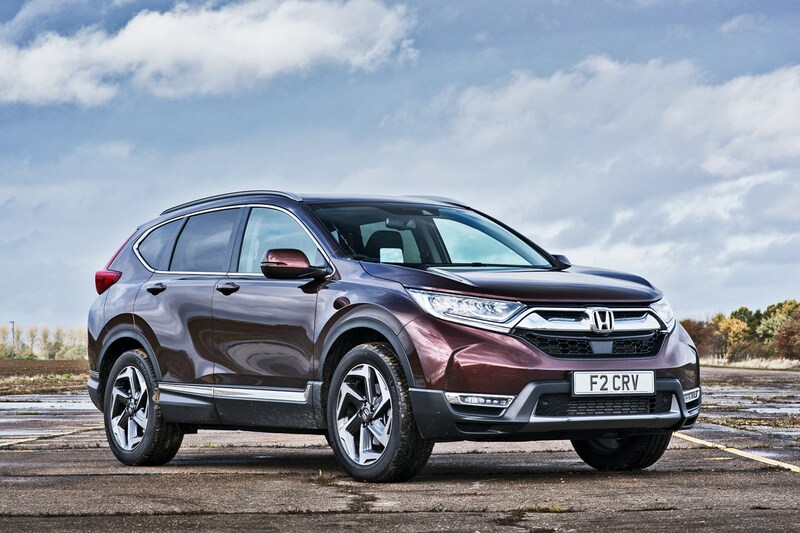 A CR-V hybrid is also available towards the end of 2018/early 2019, using a 2.0-litre petrol engine in combination with an electric motor. The Karoq’s range takes a little longer to sift through, with SE, SE Nav Plus, SE Technology, SE L, Edition, Scout and Sportline models to choose from. So there’s something for pretty much everyone. Engines to pick from include a 1.5-litre TSI petrol, a 1.6-litre TDI diesel and a more powerful 2.0-litre TDI diesel. There are manual and DSG gearboxes available, with some also coming with the option of all-wheel drive. 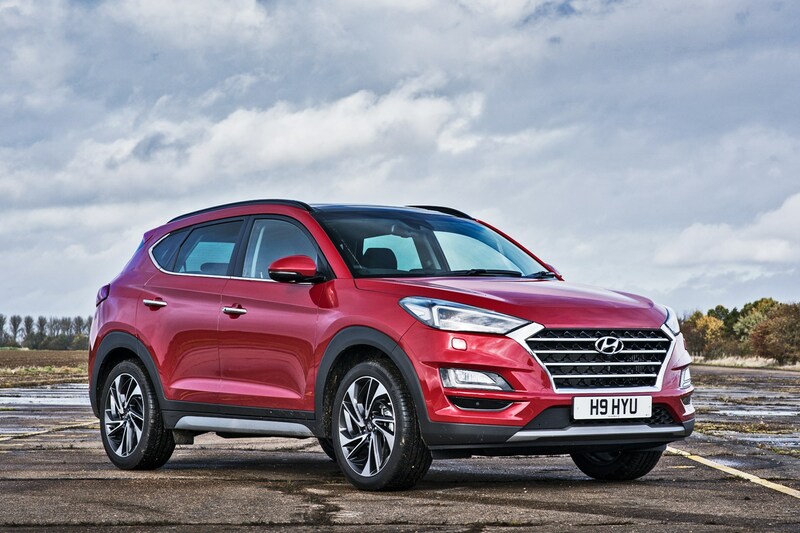 Four trim levels make up the Tucson range: S Connect, SE Nav, Premium and Premium SE. The engine options consist of two 1.6-litre petrol engines (one non-turbo and one turbo), and three diesels: a 1.6 CRDi with 115 or 136hp and a 2.0-litre CRDi with 185hp and an advanced mild hybrid system to boost efficiency. Manual and automatic versions are available, while four-wheel drive comes as standard on the higher-output diesel. The 3008 range is just as extensive as the other cars here. The range kicks off with Active, moving up to Allure, GT Line, GT Line Premium and GT at the top. 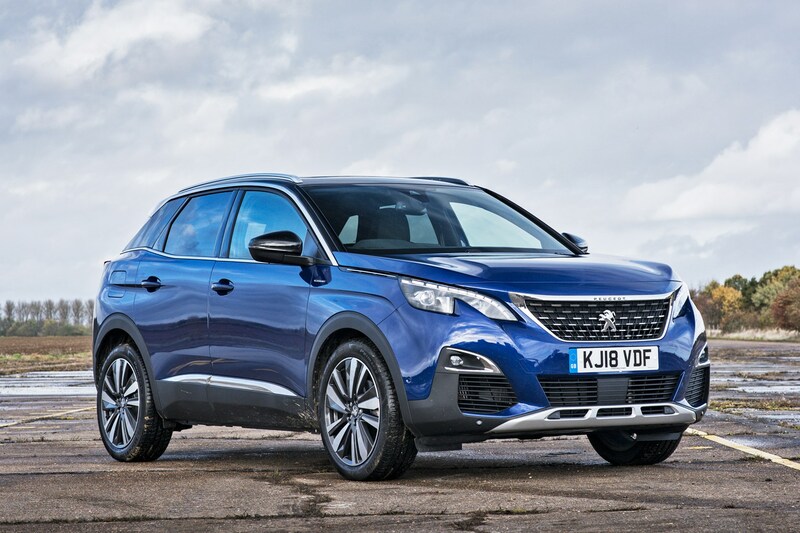 If you want a petrol 3008, you can choose between 1.2-litre or 1.6-litre PureTech units with 130 and 180hp respectively, while there are two diesels – a 1.5-litre BlueHDi with 130hp or a 2.0-litre BlueHDi with 180hp. Manual and autos are available, but there’s no all-wheel drive option here, just Peugeot Grip Control traction system on some models. The CR-V’s dashboard won’t win any design competitions, but there’s little to fault when it comes to the layout, the bright cabin and how easily everything falls to hand. It’s solid and feels like it’ll last a lifetime, but the wood-effect is a bit questionable, although it does at least break up the swathes of grey and black plastic. There’s a vast amount of storage in the front for all kinds of bits and bobs, and there’s wide range of adjustment in the seats and steering wheel. The biggest let down is the dated infotainment system. It’s slow and the graphics look very old now, although there are no complaints about how quickly the sat-nav system finds routes. The Skoda’s dash may not look the most interesting, but it’s the most logically laid out, is well built and also boasts an impressive amount of storage for odds and ends. Its infotainment system is a doddle to use, there’s good adjustment in the seats so it’s easy to get comfortable and you don’t feel like you’re sitting on top of it. It’s a bit plain in design, but it has that Volkswagen-style quality of feeling classy and refined. 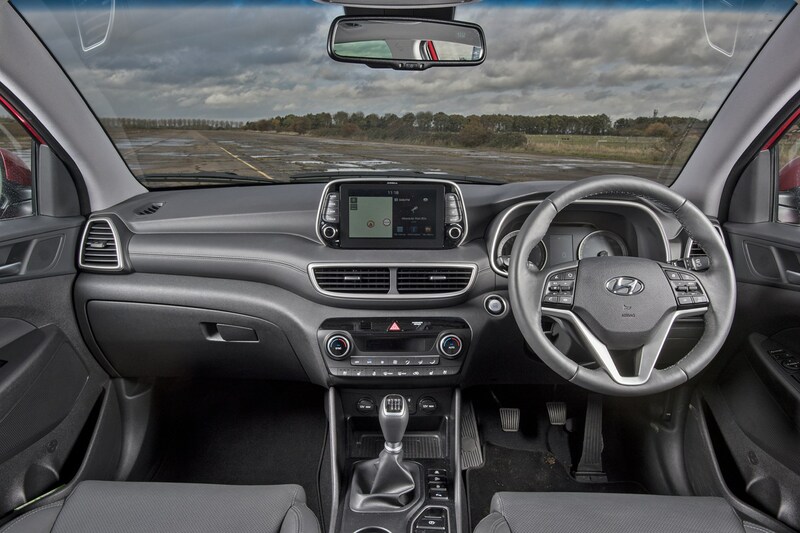 As part of its 2018 facelift, the Tucson’s interior received a spruce up – ditching the blocky, uninspiring design and gaining a pared back look with tablet-style infotainment screen sitting proud of the dashboard, and a tidy design with clearly labelled buttons. It feels a spacious cabin like the CR-V’s in the front, with some useful storage areas, while the controls are backlit in blue which adds some interest at night. Its plastics feel the cheapest here, however. It’s solid and feels like it’ll last the rigours of family life, but it doesn’t feel quite as plush as the other cars here, despite this top-spec model we’re testing featuring the most kit and nicest materials. 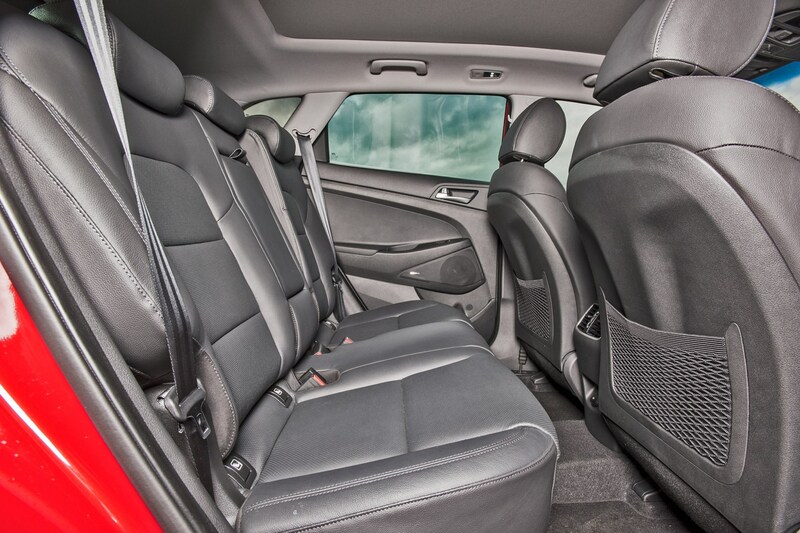 The 3008 takes the win when it comes to interior design, if not user-friendliness and outright space and storage. It looks futuristic and properly modern and attractive, and doesn’t feel like a lofty SUV from behind the wheel. It won’t suit all though, as the small, low-set steering wheel won’t suit larger drivers, but once you get used to the layout, it’s refreshing and comfortable for many others. The touchscreen – while easy to reach – controls pretty much all functions, adding an extra degree of fiddly-ness to simple operations, and is quite slow to respond too. Of the buttons that are present on the dash, they’re not the easiest to use in a hurry. However, quality is good and there are pleasant materials used on all models, feeling a very interesting option compared with the others. 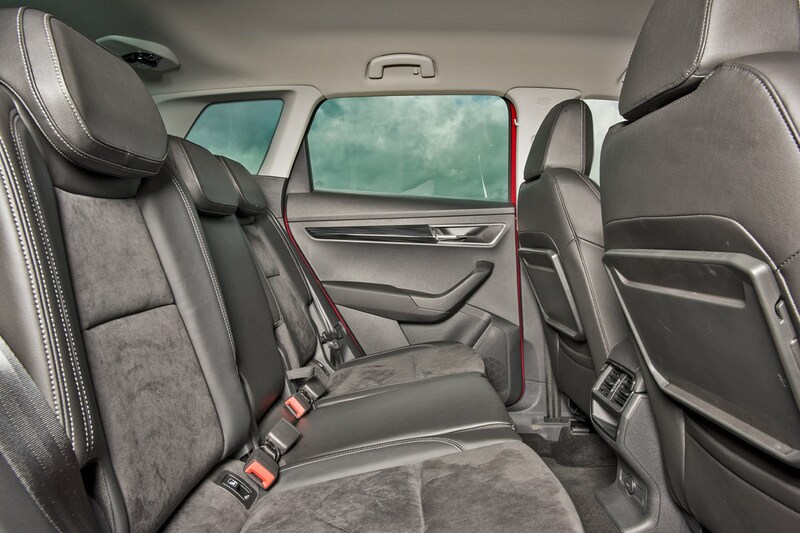 The CR-V boasts the biggest interior here when it comes to passenger room. 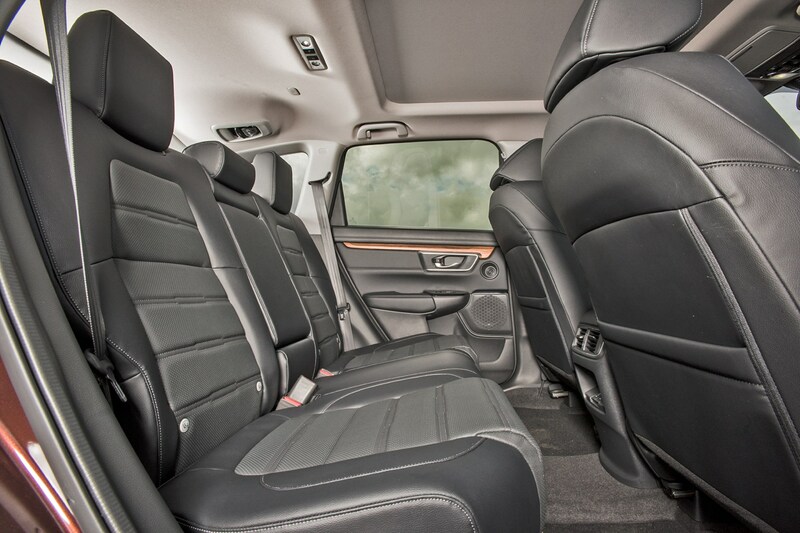 There’s a huge amount of head and legroom in the front and rear seats, however higher-spec cars with panoramic sunroofs lose out a little on headspace in the back. The 561-litre boot is wide, well shaped and practical with a two-position boot height and easy-to-access seat release handles. 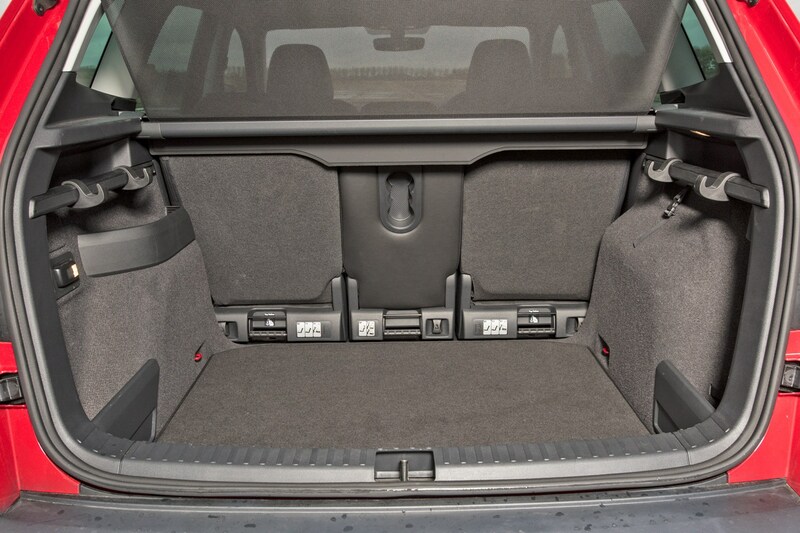 There’s also a vast amount of interior storage, with places for absolutely everything and a big, adjustable bin beneath the central armrest in the front, and big door bins elsewhere. Finally, big mirrors aid with visibility, but don’t kick up much wind noise, keeping things calm inside. Despite it being the most compact car in terms of exterior dimensions, the Karoq packs a practical interior into a relatively modest package. Up front there’s plenty of room with big storage bins in the doors and armrest, a wide range of adjustment for the front seats and plenty of headroom. In the back, knee space is a little tighter than other cars here, while the hump in the floor restricts room for middle-seat passengers. However, there are two adjustable tray tables on the back of the front seats, big door bins and a selection of hooks and nets available in the boot. If you spec an SE L or above (or tick it on the options list) you’ll get a Varioflex seating system. This includes separate rear seats that slide and recline individually, or can be removed altogether. However, this takes quite a bit of effort and you’ll need to find somewhere to store them. Plus, they don’t leave as flat a load area when folded as the other cars here. The good is that, when the seats are in place, the boot is one of the biggest here at 588 litres (with the seats slid forward). However, with the Varioflex system, you don’t get a variable height boot floor. Petrol-powered Tucsons offer a 513-litre boot, while the diesels have slightly less space at 484 litres. 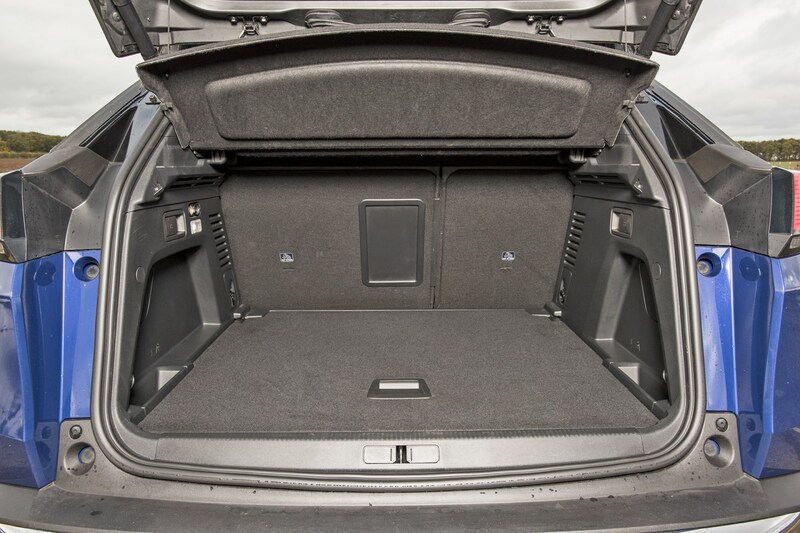 And while the higher figure trails its rivals, the usable space isn’t as defined, as the Tucson’s boot space is wide and practical with a flat load space and plenty of room. It’s also very easy to lower the rear seats. 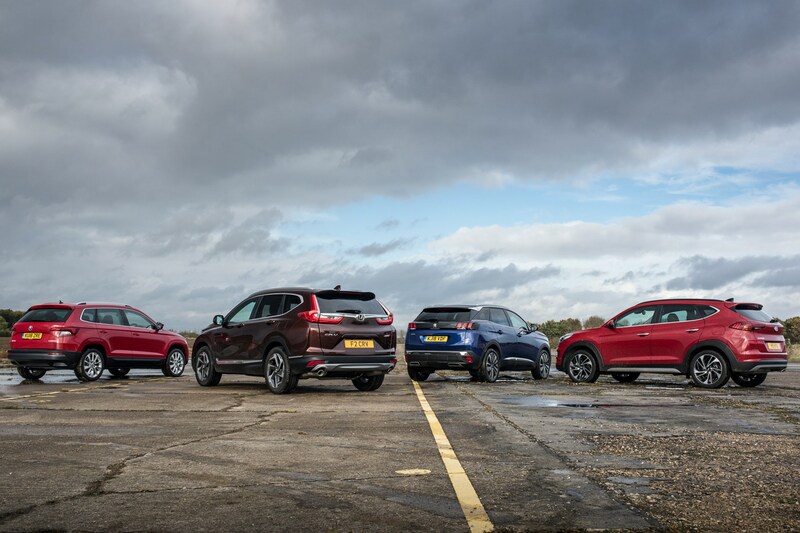 Up front, the Tucson almost matches the CR-V for the sense of space on offer, while there’s more space in the rear seats than the 3008 and Karoq. It’s much lighter and brighter inside than the dark Peugeot, with a wider cabin that lends itself well to carrying passengers of all shapes and sizes, or child seats. There’s a good amount of storage throughout – if not as much as the CR-V – but much more than the Peugeot and on a par with the Skoda. 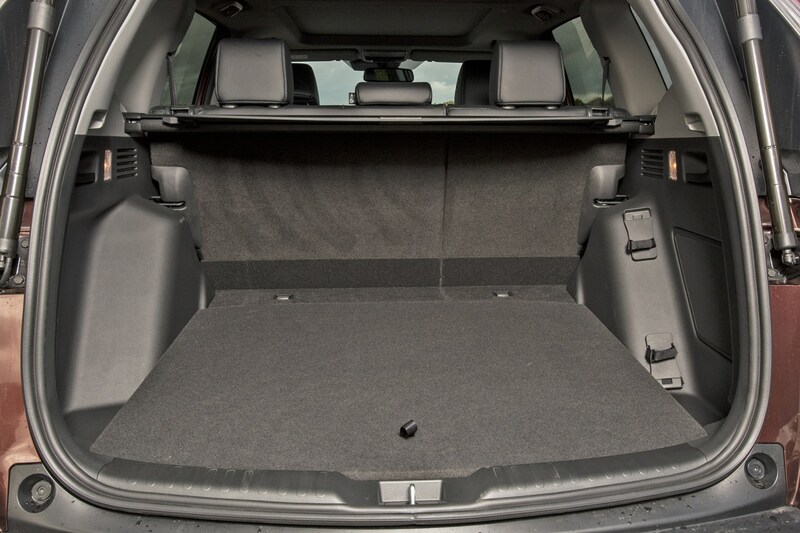 With the boot floor in its highest setting (and level with the loading lip and the rear seats when folded), the 3008 offers 521 litres of space, in a neat, square and practical shape. Drop the floor to its lower setting and it expands to 591 litres. 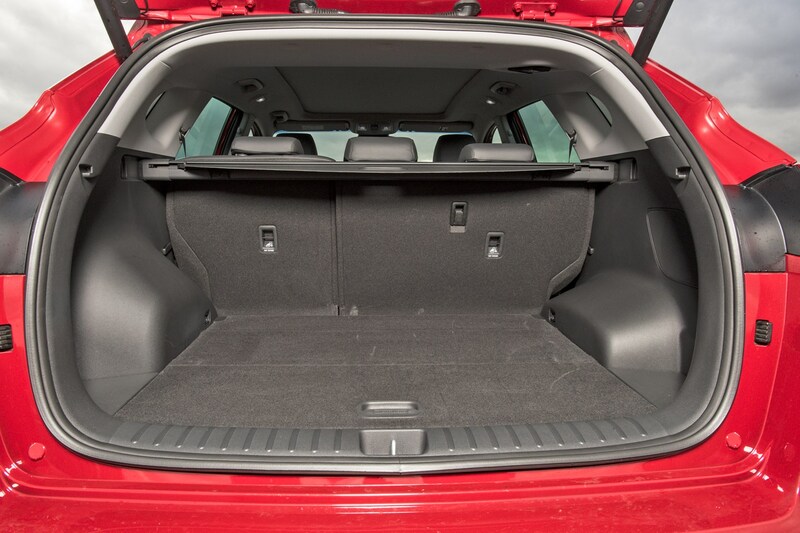 This big boot makes up for the space lost inside the car, though, as the 3008 feels the smallest inside. The chunky dashboard and high centre console – while attractive and refreshingly car-like for a high-riding SUV – makes it feel much smaller inside than the others, and extra storage cubbies are harder to come by. There’s a big central bin between the seats and big door bins, but that’s about it. 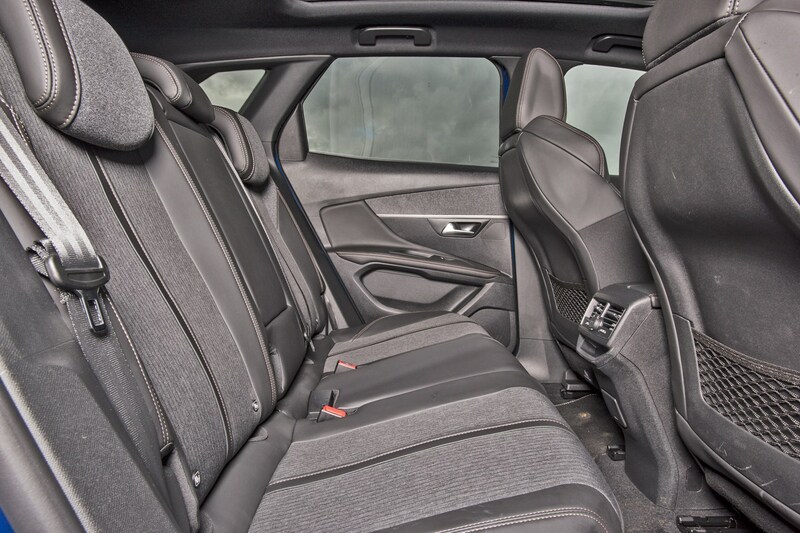 There rear seats feel a little more cramped than the others here – and on a par with the Karoq – but feels darker in the top-spec models thanks to black headlining. The panoramic sunroof helps brighten things slightly, though. Despite being the biggest here, the CR-V handles well, with nicely-weighted steering and good body control, ensuring your passengers won’t feel like they’re going to slide off their seats. On the motorway it’s relaxed and hushed, but getting up to speed can be a loud and gradual affair if you want the CVT automatic. It gets quite noisy as it builds speed. Also, the ride comfort is best on lower-spec models with smaller wheels. So we’d suggest one of these with the manual gearbox, as it’s a much more relaxed and refined experience. The Karoq feels the most light and agile of the bunch here, with the tidiest body control most responsive engine in 1.5 TSI form. The ride is one of the firmest, however, but it’s never uncomfortable and doesn’t become fidgety. The good news is that, despite its firmer ride, it still deals with speed bumps and potholes very well, and remains refined and comfortable at all times. If you want to change the drive modes, drivers can switch between Eco, Normal and Sport. We’d recommend leaving it in Normal for the best all-round set-up. The engines are refined unless you really rev them hard, but at most speeds it’s a hushed environment. 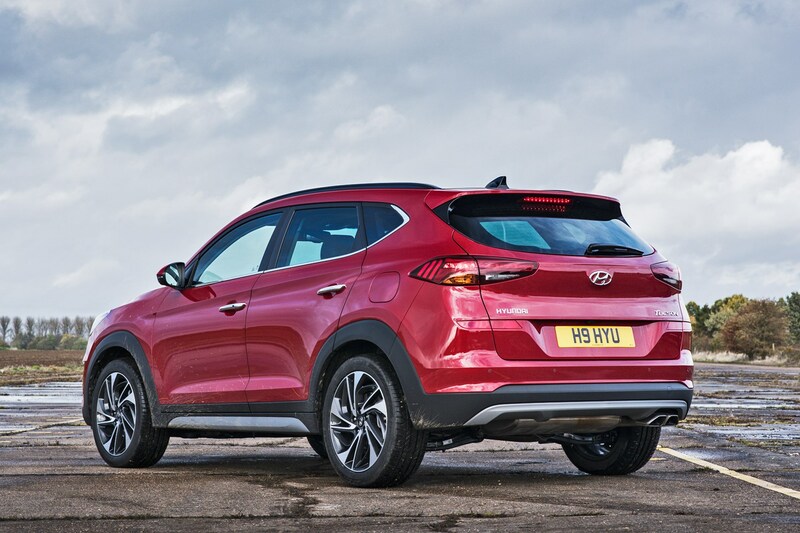 The Tucson isn’t the most comfortable, nor the most exciting to drive out of this bunch. Granted, it doesn’t need to a be a sporty drive, but the ride can feel lumpy at all speeds and never feels like it properly settles down, while the steering feels artificially heavy at some speeds. At a cruise however, refinement is good and the driving position is very comfortable with nicely weighted controls, while the 1.6-litre T-GDI petrol we tried is smooth and punchy, if not especially efficient in the process. The manual gearbox is slick to use, but we feel the petrol would be better matched with an automatic gearbox to make things a little smoother. The 3008 boasts the sportiest pretentions of this group, mostly down to its small steering wheel that makes it feel like a smaller car. In reality, you’ll find yourself turning a bit too eagerly into a bend at first while you get used to the set-up as it’s quick to respond to small inputs. 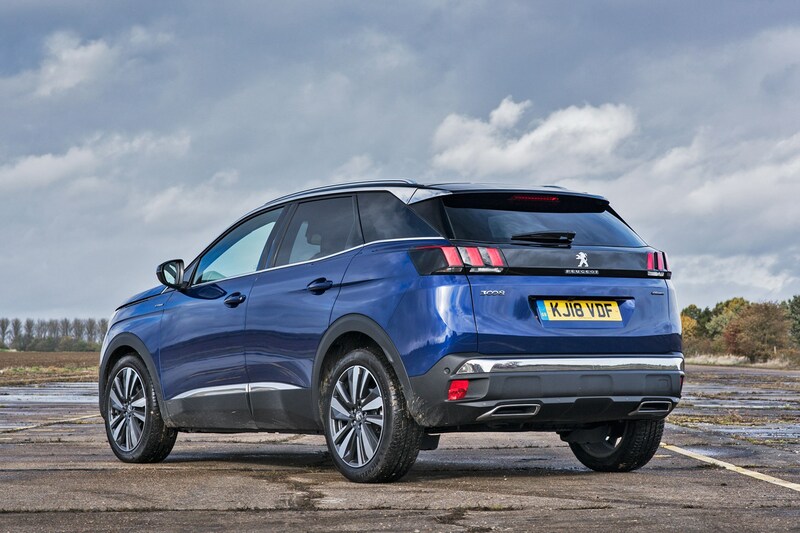 Body control is good and the Peugeot feels almost as agile as the Skoda, but its ride isn’t quite as composed as the Karoq over rough surfaces - at least with larger wheels fitted. However, the 3008 scores well when it comes to refinement. Even the diesel engines are hushed at all speeds, although the manual gearbox can feel a little vague in its action. For the following finance costs, we’ve configured like-for-like models in terms of equipment, with some requiring a couple of optional extras added to match. All are based on a £3,500 customer deposit, 10,000-mile annual limit and over 48 months. Karoq SE L 1.5 TSI manual - £313 per month (including spare wheel, adaptive cruise control and sound system upgrade optional extras). 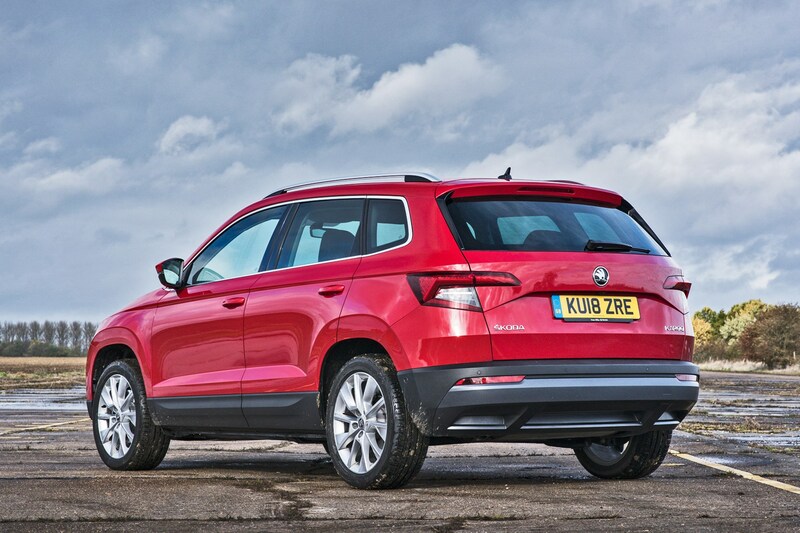 As an all-round package, the Skoda Karoq is hard to ignore. It may have the most compact exterior dimensions, but it packs a high-quality, flexible and spacious interior into the mix. It also comes well-equipped across the range, it’s easy to drive and won’t cost the earth to run. It’s difficult to split the rest of this group. 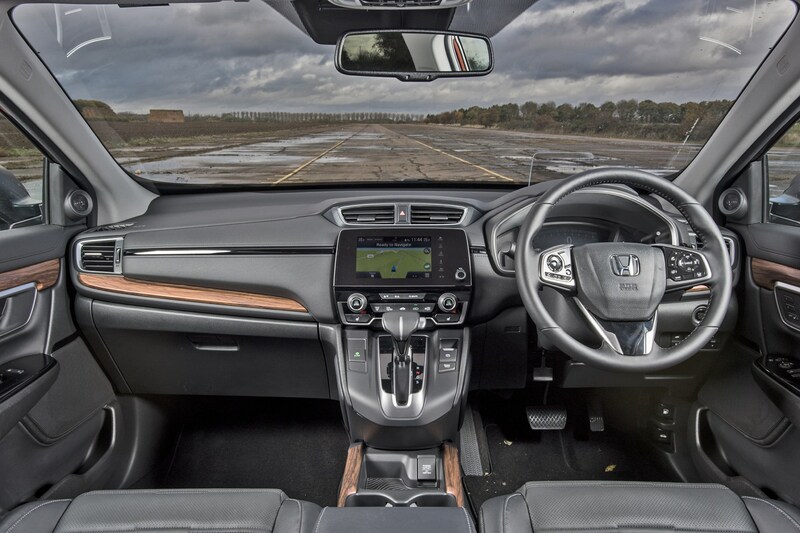 The CR-V offers a vast interior, strong safety credentials and a tidy driving experience, plus it's not too expensive in entry-level form. 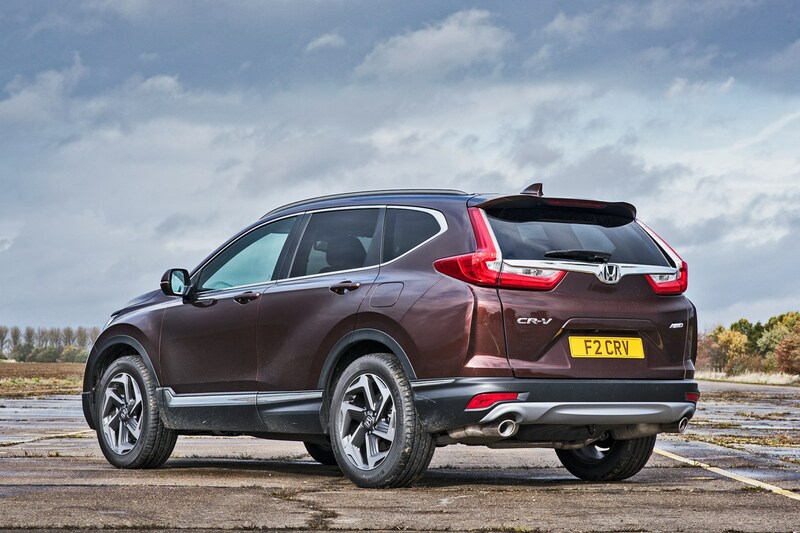 However, we think it's worth spending a bit of extra cash on the CR-V Hybrid when it arrives for the extra economy gains over the petrol. 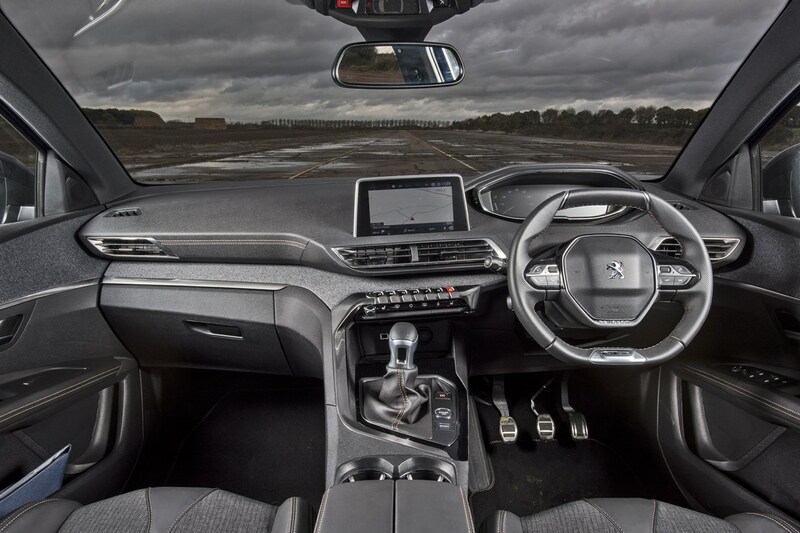 The 3008 looks great and the interior is refreshing and interesting, and almost as practical as the Skoda’s inside. Plus, it offers a huge boot and a range of excellent engines, but it’s just not quite as family-friendly as the other cars here, and there are some ergonomic issues that we can’t ignore. Then there’s the Tucson. By no means a loser as it packs a solid build, extensive kit list and spacious interior, plus a wide range of engine and gearbox combinations, but it’s not the most comfortable on a long journey in this form and running costs are higher than the Skoda and Peugeot’s. Still well worth a look, though.